FRASER, THOMAS, army officer, colonizer, landowner, jp, office holder, politician, and militia officer; b. 1749 in Strath Errick, Scotland, son of William Fraser; m. first Mary MacBean, and they had at least four sons and three daughters; m. secondly 7 Feb. 1795 Mary MacDonell; m. thirdly Cornelia Paterson, a widow, and daughter of John Munro*; d. 18 Oct. 1821 in Matilda Township, Upper Canada. The Fraser family emigrated about 1767 and by 1770 had settled in Tryon County, N.Y., as tenants of Sir William Johnson*. At the outbreak of the American Revolutionary War Thomas Fraser was operating the original Fraser tenant farm, his father and elder brother, William, having moved to a larger one. In May 1777 the brothers were captured by rebels while fleeing to Quebec with a company of men. Imprisoned at Albany, the Frasers and their men escaped custody in August and joined Major-General John Burgoyne*’s forces at Fort Edward. They were commissioned lieutenants and served until the British surrender at Saratoga (Schuylerville) the following month. They were later allowed to escape to Quebec. In 1779 Thomas and William took command of the loyalist blockhouses on the Rivière Yamaska. They were responsible for scouting patrols sent to the American colonies and occasionally joined in these expeditions. While still serving on the Yamaska, in 1781 the Frasers were attached to the Loyal Rangers commanded by Edward Jessup*. In June 1782 Fraser became a captain in the unit. After the war Barrimore Matthew St Leger* described the brothers as “the most confidential and loyal among the King’s Subjects.” On the basis of this reputation, they were able to obtain a pension for their father shortly after his arrival in Quebec in 1780. Fraser was interested in settlement and land acquisition and participated with other loyalists such as Richard Duncan*, Peter Drummond, and John Munro in several ventures. In 1789 Fraser and others were granted four acres in Edwardsburgh to build a sawmill. Four years later he appeared before the Executive Council on behalf of an association including Duncan, Drummond, and Munro. Claiming the support of influential men in Vermont, he hoped to draw settlers from that area to the new province of Upper Canada. Although the response to his request for land equivalent to 30 townships was deferred, Fraser and his associates were later granted seven townships. By 1796 Lieutenant Governor John Graves Simcoe* had begun to rescind the township grants. Fraser’s group had not accomplished its objectives, although the partners claimed to have attracted several settlers and proposed to draw more from Scotland. In spite of this new proposal, the grant was revoked. After 1800 Fraser became preoccupied with the accumulation of land. In 1804 the Earl of Selkirk [Douglas*] noted that Fraser “has a great extent (about 20,000 acres) of lands bought up at trifling prices many at 12$ per 100 acres from Soldiers etc after the disbanding of the troops – he & his brother Wm came from Mohawk R. very poor – have managed these affairs well.” Selkirk’s estimate seems to be exaggerated although there is no doubt that Fraser’s holdings were extensive. By 1805 he himself claimed to own over 11,000 acres and at his death his estate included more than 15,000 acres. 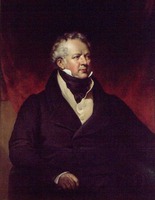 During his life Fraser was a prominent office holder and politician. He served as a justice of the peace from 1786. In March 1792 he was appointed to the land board for Leeds and Grenville, becoming its president the following year. Fraser was the first sheriff of the Johnstown District, erected in 1800, and held the post until April 1803 when he was succeeded by his eldest son, William. In 1808 he became a road commissioner; four years later he was appointed a commissioner under the Sedition Act. Finally, in 1816, he was named to the Board of Militia Pensions for the Eastern District. From 1797 to 1800 he sat in the House of Assembly for Dundas County. A slave owner – he had at the time at least four slaves working on his farm – in 1798 he voted for Christopher Robinson*’s bill to extend the legal limits of slavery within the province. He ran again in 1800 but, according to Selkirk, “lost his popularity, & was not reelected.” In 1808 he was elected with Alexander McDonell* (Collachie) for the riding of Glengarry. Fraser was an active member and a faithful supporter of the government. 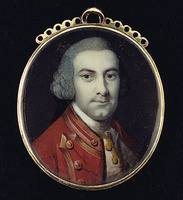 After the outbreak of the War of 1812 Fraser, a lieutenant-colonel, commanded the 1st Dundas Militia and its flank companies stationed between Cornwall and Prescott. In February 1813 he commanded the militia at the capture of Ogdensburg, N.Y., by George Richard John Macdonell*. At the end of the war he moved his residence from Fraserfield, his farm in Edwardsburgh, to Matilda in Dundas County. Lieutenant Governor Francis Gore* recommended Fraser to a vacancy on the Legislative Council in May 1815; he took his seat that fall. 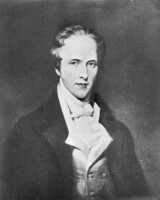 Fraser was eulogized in the Kingston Chronicle after his death as “long an upright, independent and impartial magistrate.” His estate, spreading across three districts, was divided among his five living children and his original farm in Edwardsburgh was divided between John Fraser and Richard Duncan Fraser*, his two eldest surviving sons. AO, ms 107, reg. of baptisms, marriages, and burials: xliii, xlix, 24, 32; ms 520; ms 521; MU 2138, 1952, no.1; RG 1, A-I-1, 18: 17; RG 21, United Counties of Leeds and Grenville, Edwardsburg Township, assessment rolls, 1801–18; census records, 1800–25; RG 22, ser.16, box 1, Thomas Fraser, account as sheriff, 1802; box 2, Fraser, account as sheriff, 1806; ser.155, Cornelia Fraser; Thomas Fraser; ser.179, William Fraser, 1813; John Fraser, 1822. BL, Add. mss 21741: 68; 21821: 121; 21826: 47; 21827: 98; 21828: 122; 21874:161(mfm. At AO). PAC, RG 1, 13, 149: D1/57; 185: F1/54; RG 5, A1: 2162, 3203–4, 6089–90, 27968–70. PRO, CO 42/68: 115–16; 42/320: 167; 42/356: 88; 42/373: 7. P. Campbell, Travels in North America (Langton and Ganong), 133, 135–36, 335. Douglas, Lord Selkirk’s diary (White), 192. [E. P. Gwillim] Mrs J. G. Simcoe, Mrs. Simcoe’s diary, ed. Mary Quayle Innis (Toronto and New York, 1965), 69. “Journals of Legislative Assembly of U.C.,” AO Report, 1909: 71; 1912: 285–86. Public papers of George Clinton, first governor of New York, 1777–1795, 1801–1804 . . . , ed. Hugh Hastings and J. A. Holden (10v., New York and Albany, N.Y., 1899–1914), 6: 269. Strachan, Letter book (Spragge). Kingston Chronicle, 25 Oct. 1821. Armstrong, Handbook of Upper Canadian chronology (1967), 31, 43, 59, 62, 168, 214. Officers of British forces in Canada (Irving), 36, 46, 49, 258. Duncan Fraser, William Fraser, Senior, U.E., and his descendants in Fulton County, New York, and Grenville County, Ontario (Johnstown, N.Y., 1964). E. R. Stuart, “Jessup’s Rangers as a factor in loyalist settlement,” Three hist. theses, 45, 48, 111. E. A. Cruikshank, “An experiment in colonization in Upper Canada,” OH, 25 (1929): 37, 40, 42. Duncan Fraser, “Sir John Johnson’s rent roll of the Kingsborough patent,” OH, 52 (1960): 186. Catherine Shepard, “FRASER, THOMAS,” in Dictionary of Canadian Biography, vol. 6, University of Toronto/Université Laval, 2003–, accessed April 19, 2019, http://www.biographi.ca/en/bio/fraser_thomas_6E.html.